After Childish Gambino’s “This is America” went viral back in May, dozens of international interpretations of the song sprung up online. As an article on Popula highlights, there are versions like “This is Brazil”, “This is Iraq”, and “Esto Es España” on YouTube. It’s an unusual afterlife for a song to have, but it’s not exactly an unexpected one – we live in an interconnected world, after all, and “This is America” has a straightforward enough concept behind it that it can be easily adapted for any country affected by similar issues. Because of the song’s overt political stance, however, these remixed versions are easy targets for repressive governments. 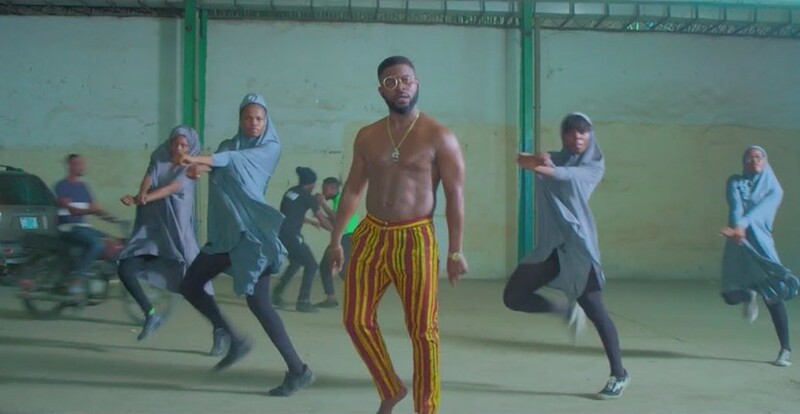 Falz, a Nigerian rapper who tackled government corruption, unemployment, and electrical blackouts on “This is Nigeria”, is seeing the song banned by the country’s regulatory body. Nigeria’s broadcasting commission have taken issue with one line in the song in particular – “This is Nigeria, everybody be criminal” – saying that the line is “vulgar” and cannot be aired, according to Quartz. The ban reportedly follows pressure from the Muslim Rights Concern, an Islamic advocacy group, who previously said that the video’s portrayal of the Fulani tribe, and its inclusion of women dancing in hijabs, was “negative”, with “the potential of causing religious crisis of unprecedented dimension”. As Quartz write, bans on songs in Nigeria aren’t uncommon, but are usually caused by overtly sexual lyrics rather than political ones. Although the ban restricts local and national airplay, it doesn’t do much to affect the track’s presence online – the video has already racked up over 13 million views since it was uploaded in late May. Watch the “This is Nigeria” video below.